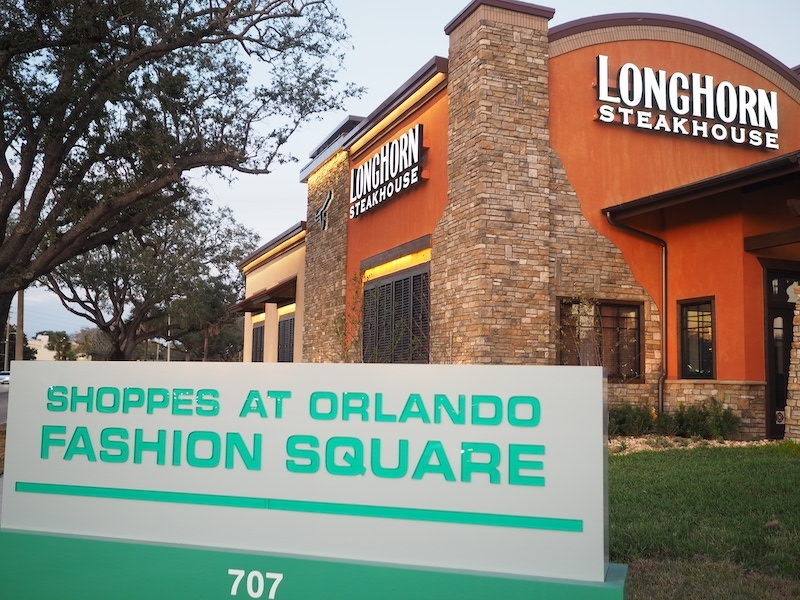 LongHorn Steakhouse has officially opened its newest Orlando restaurant near the Fashion Square Mall. 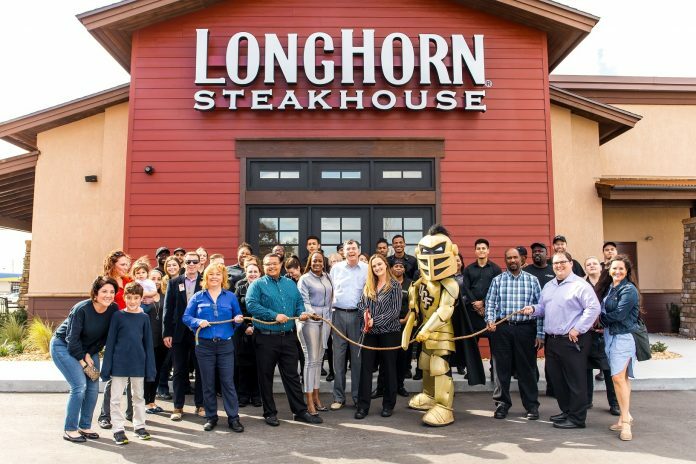 The restaurant celebrated the opening with a “lasso cutting” ceremony, where a special guest, with the assistance of UCF mascot Knightro, helped mark the occasion by cutting into the restaurant’s very first legendary steak. 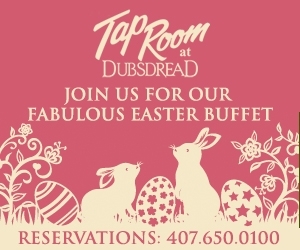 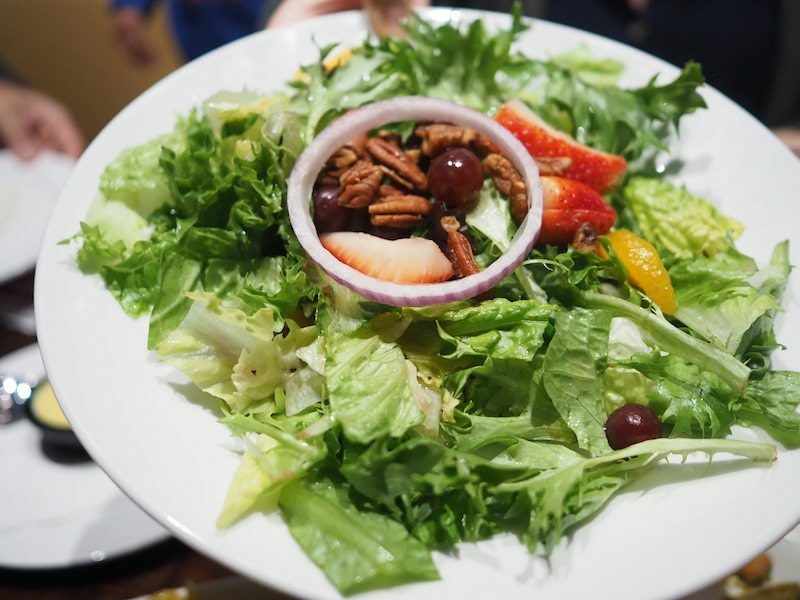 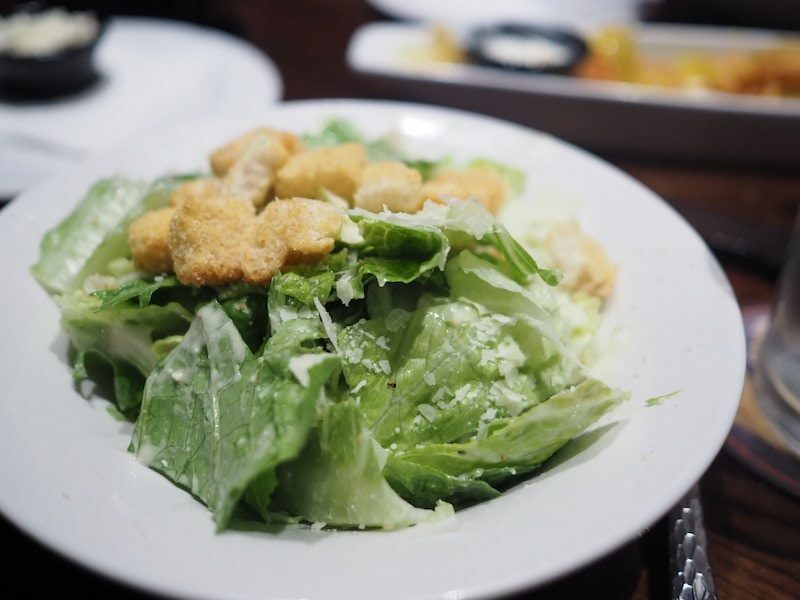 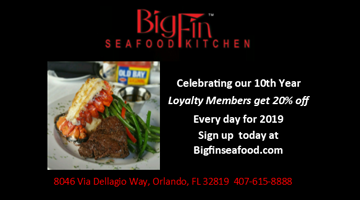 LongHorn Steakhouse is an American casual dining restaurant chain that is owned and operated by Darden Restaurants, Inc., headquartered in Orlando, Florida. 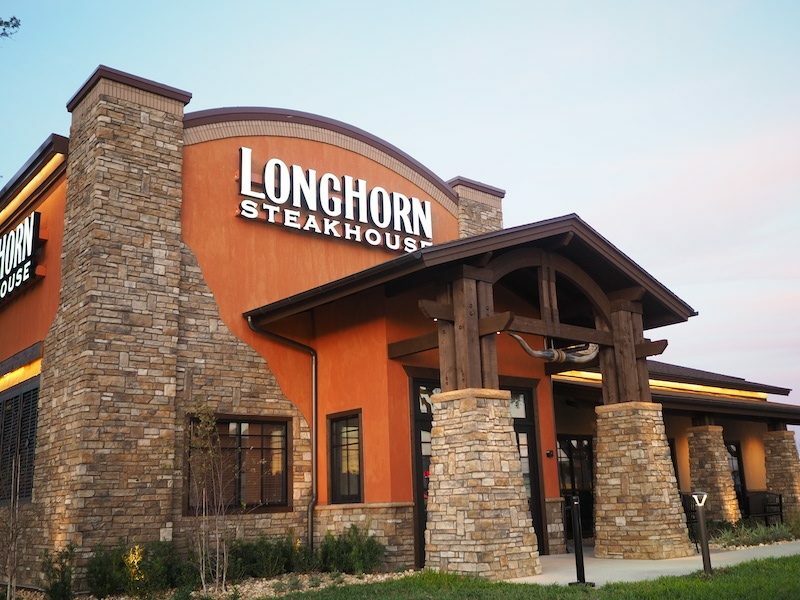 As of 2016, LongHorn Steakhouse generated $1.6 billion in sales in its 481 locations. 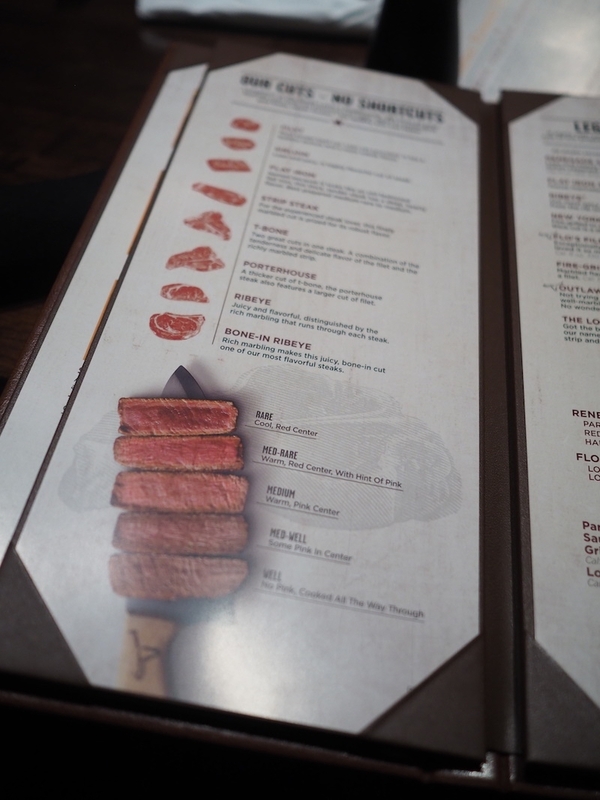 There’s a Western/Texan theme inside the restaurant with cowboy memorabilia and statues and paintings – as expected from a steakhouse. 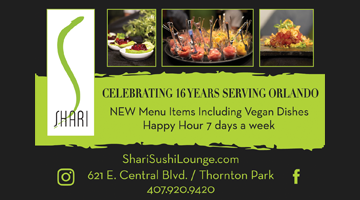 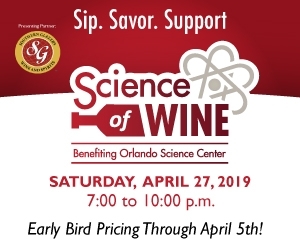 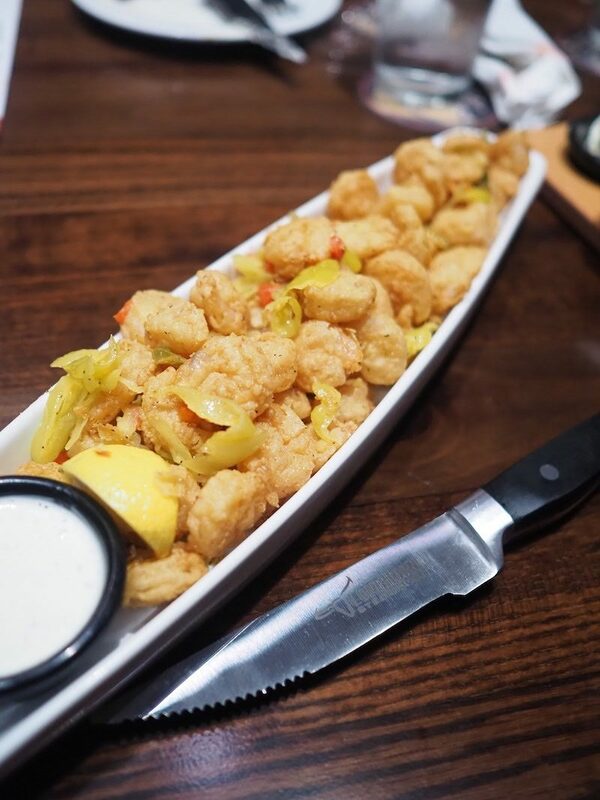 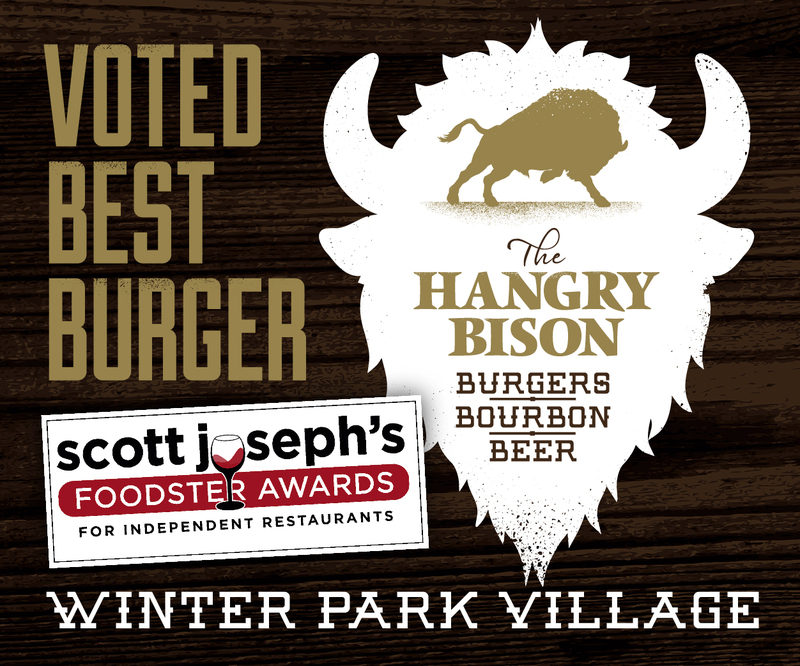 Located at 3101 E Colonial Dr., the 6344-square-foot restaurant seats more than 320 guests and is led by 15-year Darden veteran Brooke Manz as Managing Partner. 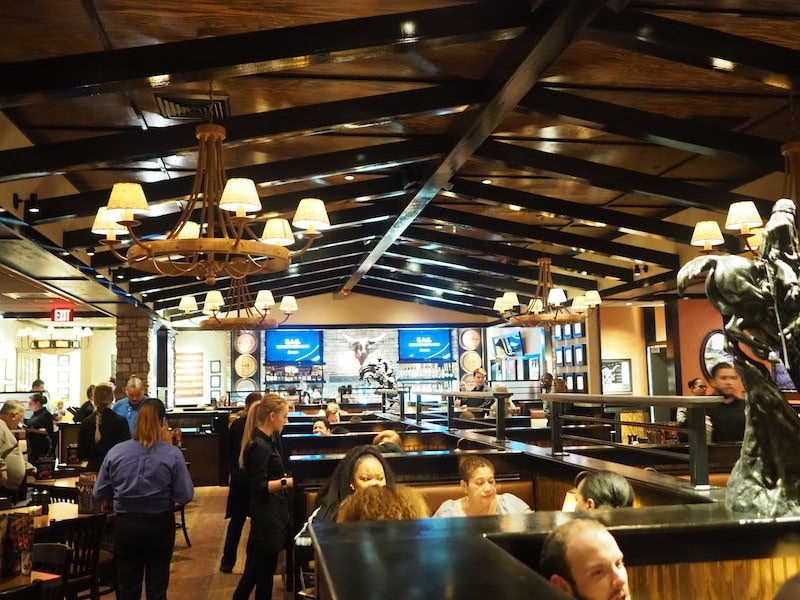 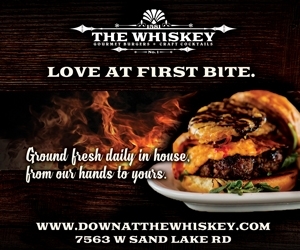 This restaurant opening added more than 60 jobs in Orlando. 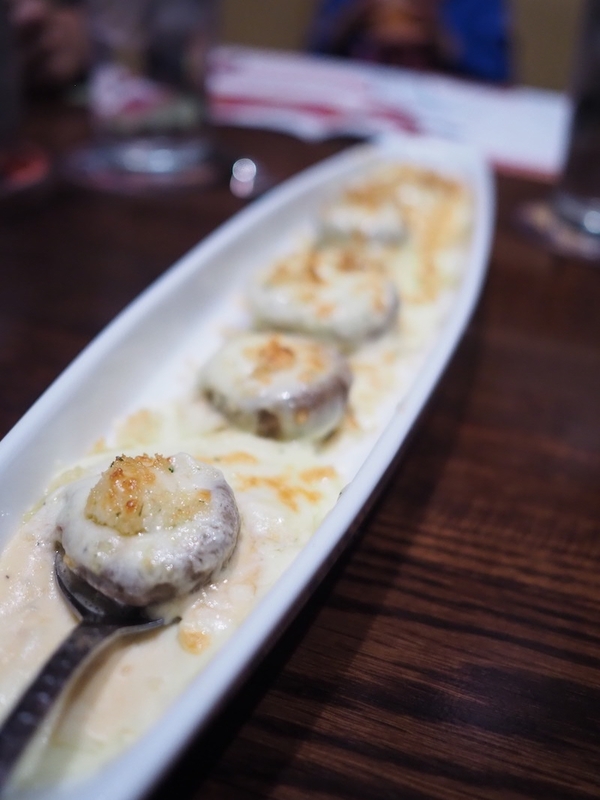 Longhorn’s White Cheddar Stuffed Mushrooms – a favorite of our table! 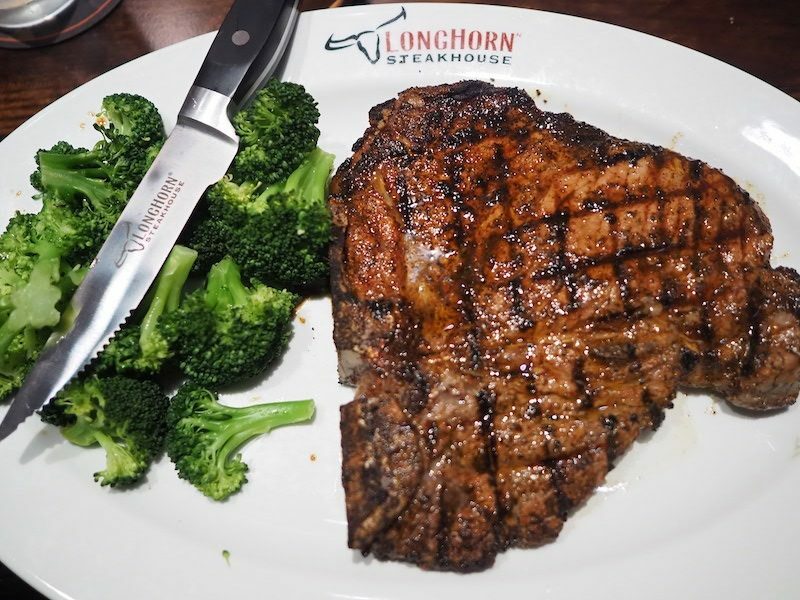 Longhorn Porterhouse – 30 oz – combines a bone-in strip and a tender filet into one thick cut. 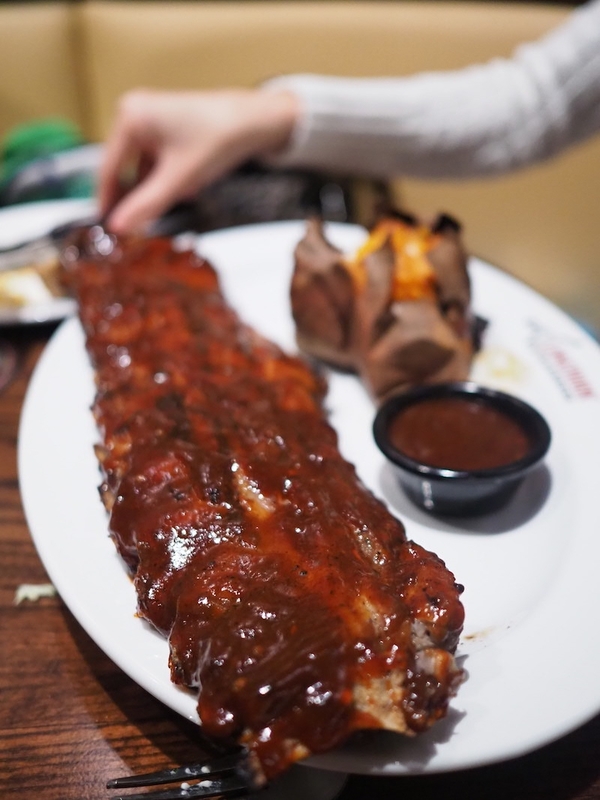 Longhorn Baby Back Ribs – Slow-cooked, fall-off-the-bone baby back ribs seasoned and fire-grilled for extra flavor. 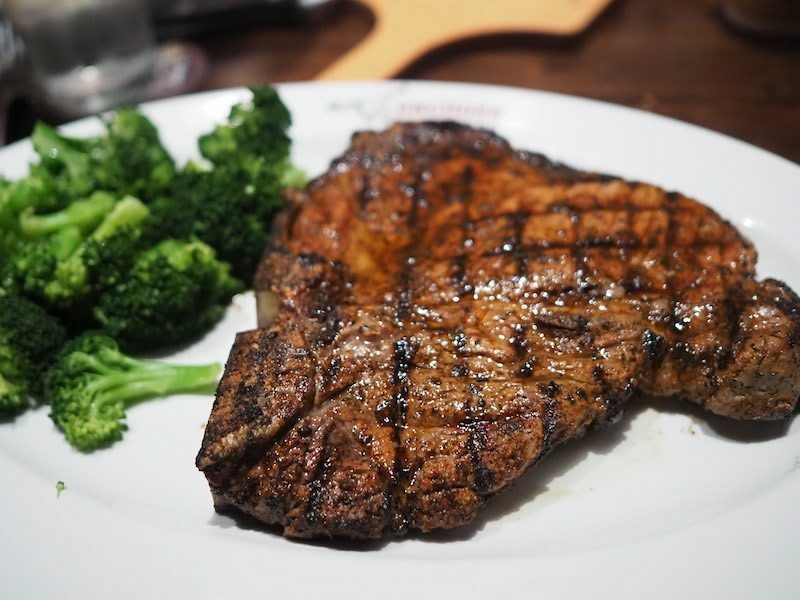 Brushed with signature housemade BBQ sauce. 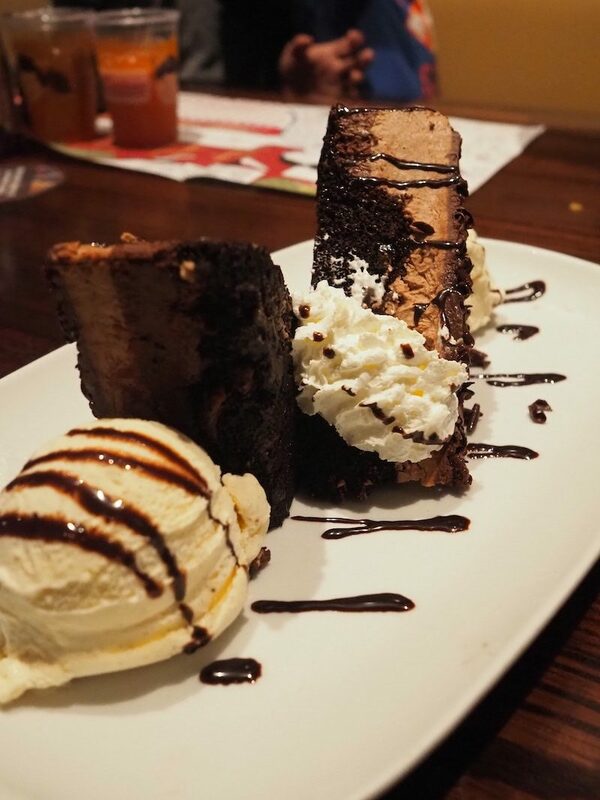 Longhorn Chocolate Stampede – six types of chocolate served with vanilla bean ice cream and chocolate drizzle. 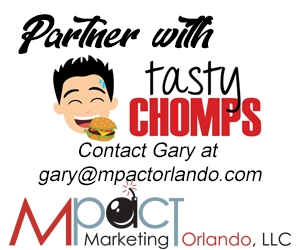 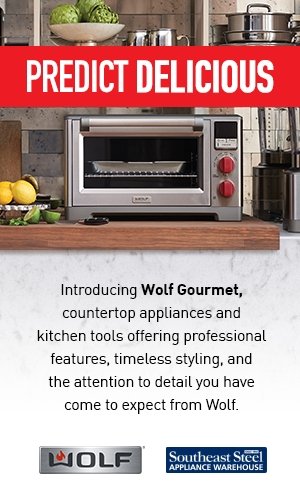 Subscribe to TastyChomps' Weekly E-Newsletter!